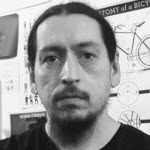 Patricio Bustos is a user experience designer who has had an empirical training through the experiences of various trades and jobs. Thanks to this, he has been able to grasp different points of view that help him to have a better understanding of the user. He has worked exclusively in UX for 6 years and 15 working in digital design, web design and front-end development. As a main activity, he works as UX Head in Coppel (a retailer store that has more than 15 million clients in Mexico), incubating the UX department in an organic way creating digital products focused on the user.